We were honoured to be featured in the spring 2016 issue of Carpe Nocturne magazine! 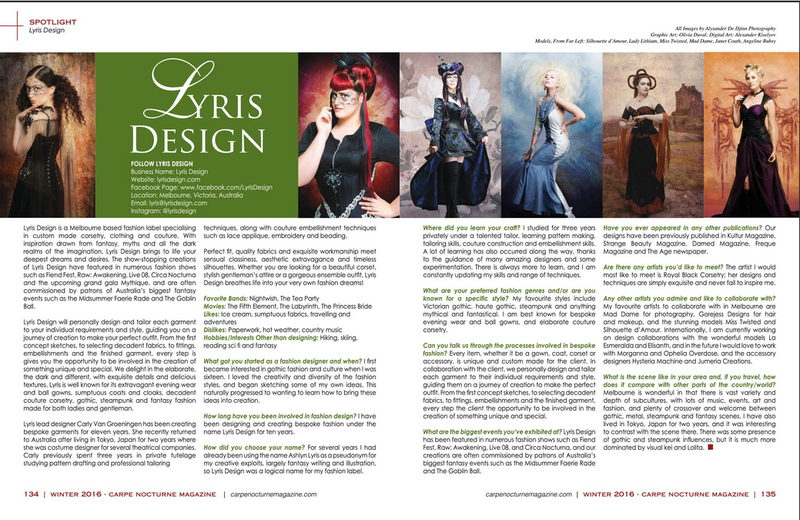 Lyris designer Carly Van Groeningen was interviewed for the article, and they included a lovely range of images. Check it out!